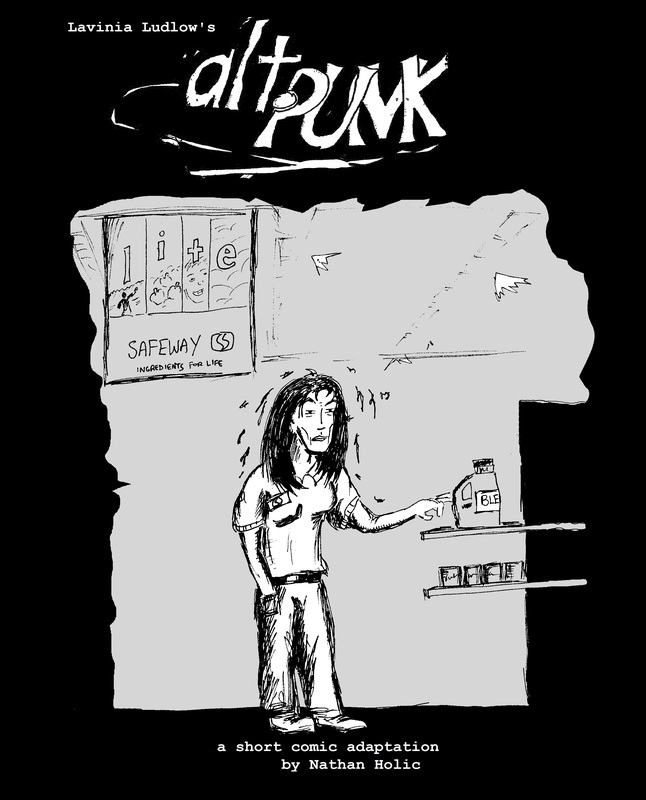 Today, I’m proud to share the short comic adaptation I created for Lavinia Ludlow’s claustrophobic, germophobic, punk rock wannabe-turned-insider odyssey alt.punk. I haven’t written much about alt.punk here on this blog, not because I’ve got nothing to say about it, but because I was the book’s editor and didn’t really feel it was appropriate for me to chime in with a book review. I always dig the Ludlow shout-outs, too, and she’s spoken about the editorial process in quite a few of the internet interviews she’s given. If you’re interested, you can find the links on my “Links” page (that’s a good place for ’em, methinks).